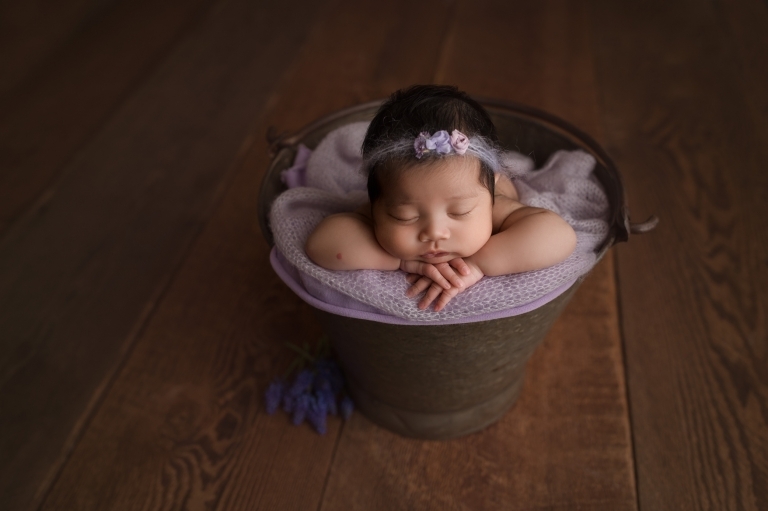 I really enjoyed being this family’s Seattle Newborn Photographer! We discussed a vision for their posed baby session and mom really wanted to incorporate some floral. Unfortunately, the nearby stores didn’t have a great selection of flowers, but the curb next to my studio did! 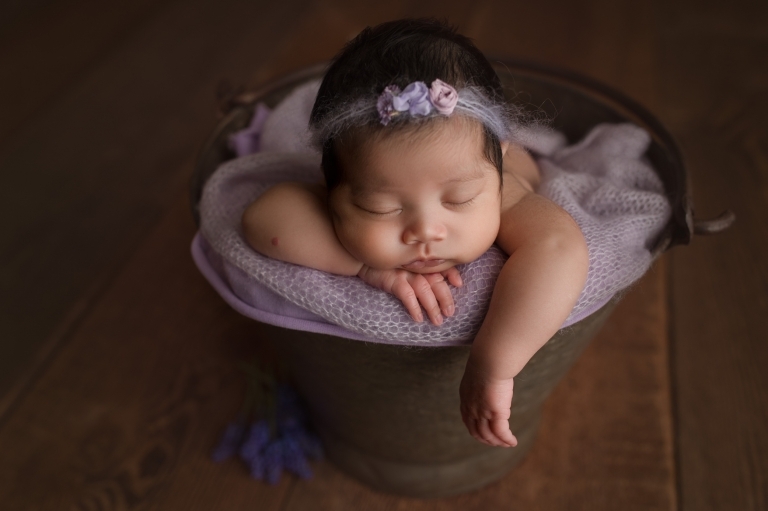 I found the dainty purple flowers in the bucket shots and they were perfect for this baby girl’s newborn session! This beautiful girl slept so well for me and I was able to everything I had planned for her! One of the best things that came out of this session, is the friendship the mother and I now have! She’s gorgeous inside and out and I’m so grateful for the opportunity to have met her!